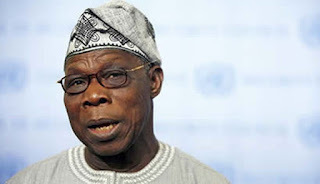 Olusegun Obasanjo, former President on Tuesday berated State Governors who endorsed President Muhammadu Buhari for a second term. In a statement he personally signed titled “The Way Out: A Clarion Call for Coalition for Nigeria Movement,” the former president described as “insensitivity and callousness” the decision of the governors to endorse Buhari when Fulani herdsmen are busy killing Nigerians. According to Obasanjo, “The herdsmen/crop farmers issue is being wittingly or unwittingly allowed to turn sour and messy. It is no credit to the Federal Government that the herdsmen rampage continues with careless abandon and without finding an effective solution to it. “And it is a sad symptom of insensitivity and callousness that some Governors, a day after 73 victims were being buried in a mass grave in Benue State without condolence, were jubilantly endorsing President Buhari for a second term!